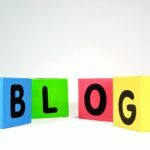 This blog post contains affiliate links which means if you make a purchase through those links I will get a small commission. Any business can create a space for themselves online. Bringing your business online is a wise decision in order to market it well in the day and time in which we live in. Everyone has a smartphone in their hand and it is a way in which you can market your business and do so inexpensively. The first tool that you need is an autoresponder. One of the best ways to market your business is to have an email list. One of the best and easiest ways to have an email list is to have an autoresponder. This allows someone to come to your website no matter what time of day it is and automatically receive whatever free offer you have there automatically when they exchange their name and email for your offer. You can offer a free consultation, a free chapter of your book, a report or something similar. This free offer needs to be something of value that you are giving away for free. For example, if it is a free consultation they will automatically be emailed letting them know how to get their free consultation or redirecting them to your scheduling tool. If it was a free chapter of your book then they will automatically be sent that free chapter even if it is 2:00 am because that is what an autoresponder does. So it is important to use an email marketing tool and to have an autoresponder so that you can get those email addresses. Those are just a few of the ones on the market, but they are all ones I would recommend. These are the top two that I would recommend using. I would also recommend LinkedIn especially if you are a professional business owner because it has so many connections. The best way to utilize social media is to be consistent and in order to be consistent, it is best to schedule it. Because it is so hard to find the moments and the time to post on social media otherwise. All of these are great tools to use to schedule out your social media in advance. Then the third essential that you need would be a website. 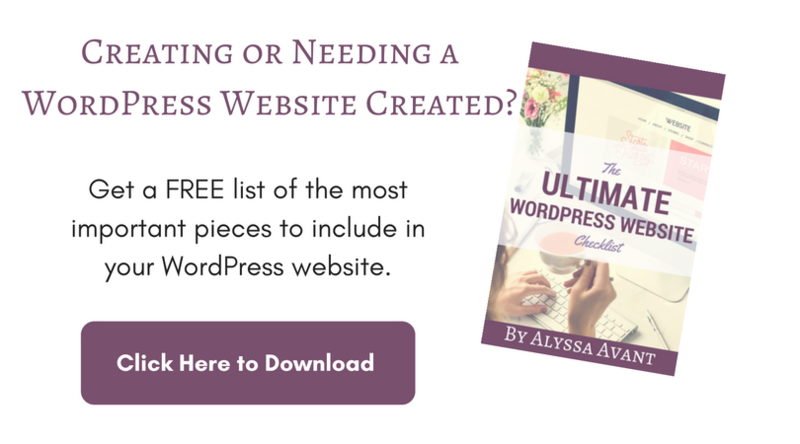 I highly recommend using WordPress on your own hosting. (I currently use and recommend MomWebs.) The host will host your website for a monthly fee. Then you will want to install WordPress, which is a free open source program. You can install this yourself or hire someone to do it for you. 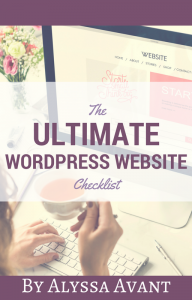 I personally specialize in WordPress so all of the websites that I build or maintain for clients are on WordPress. It is very user-friendly and it has tons of options which will allow you to have a very professional looking website, which is important. 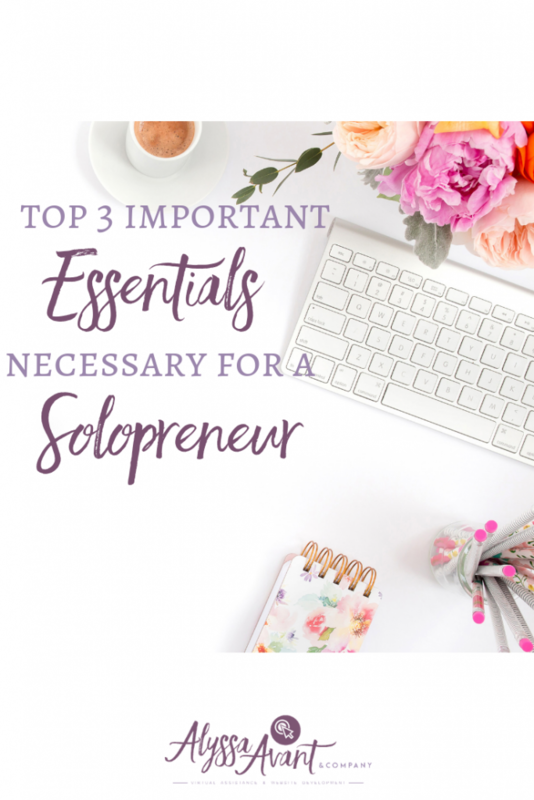 To recap here the top three essentials that you need are an email autoresponder, a social media scheduling tool so that you can stay consistent on social media and a website. These are all services that I provide, but I do specialize in WordPress, that is the area where I have the most skills. 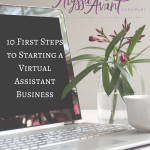 I would love to connect with you and I do offer FREE 20 minute consultations which you can book here: http://alyssaavantandcompany.com/schedule. 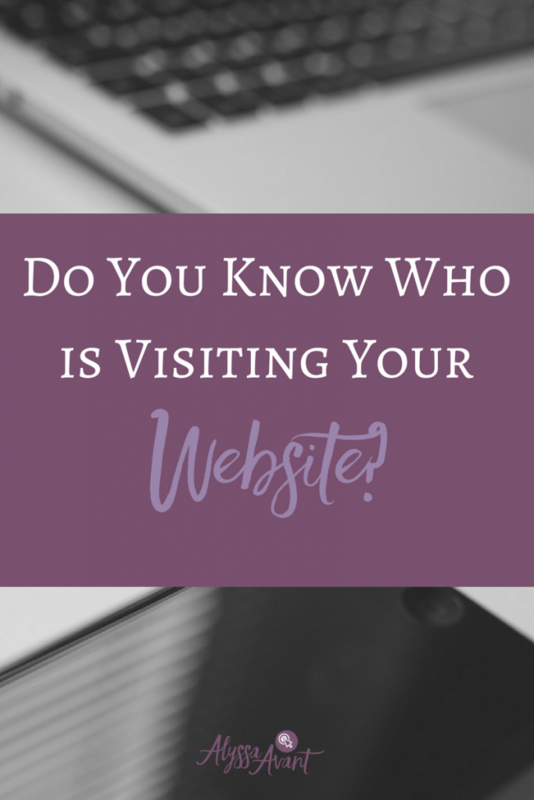 Do You Know Who is Visiting Your Website? Do you have the proper tools in place that will allow you to track your website visitors? Know what search terms they are entering to get to your site? How about if they stuck around or shared their contact information with you? If you’re shaking your head no, then I have some important information for you. 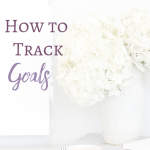 If you’re not tracking visitors or don’t know who is visiting your website and why, you could be leaving money on the table. As business owners this is the last thing we want. 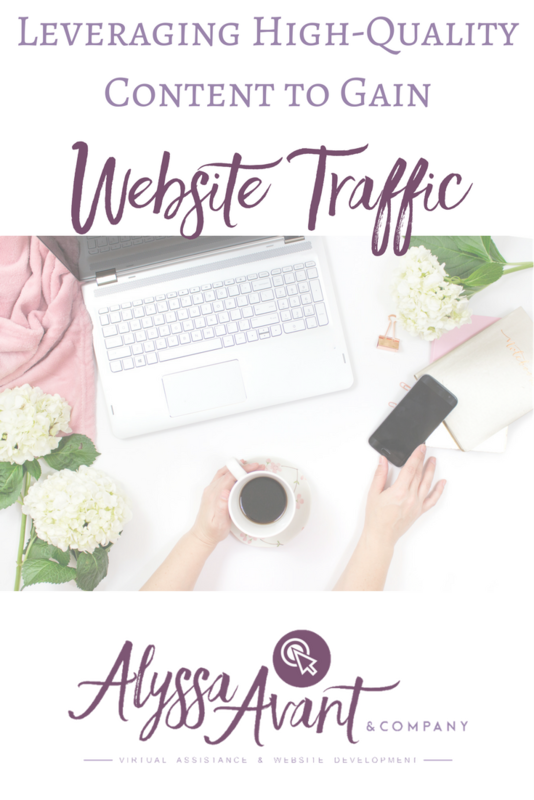 In order to get in tune with why visitors are coming to your site and who is sticking around you need to do a couple of things in addition to the essential website elements that every website needs. Install Google Analytics to your website. If you are using WordPress. this is super simple. You can simply install the Google Analyticator plugin and follow the steps to set it up. Google Analytics allows you to track visitors, find out where they come from, and what they click on. Google is about to release a new real time Analytics; I cannot wait for it to officially launch. Connect your website to Google Search Console. This will enable you to see even more behind-the-scenes information about what people are searching for when they land on your site from Google. It will give you the information you need to help you improve the search presence of your website on the Google search engines. Specifically, it can tell you where you rank in the search engines for specific keywords you may be trying to get others to come to your website for. Meaning, it tells you if you are on page 1 or page 1000 for that specific keyword. This can be valuable information to you as you attempt to have people find your website by searching for certain terms. You also want to be sure to have lead magnets on your website. To ensure that your visitors become email subscribers, you will also want an enticing freebie for your visitors. This could be a free audio, a checklist, a special report, or an ebook relevant to your target market, of course. In exchange for your lead magnet, also known as a freebie or freemium, you would collect their name and email address. Opt-ins are done a little differently now than they have been done in the past. Gone are the days when you can slap a sign up box in the sidebar of your website and get sign ups. 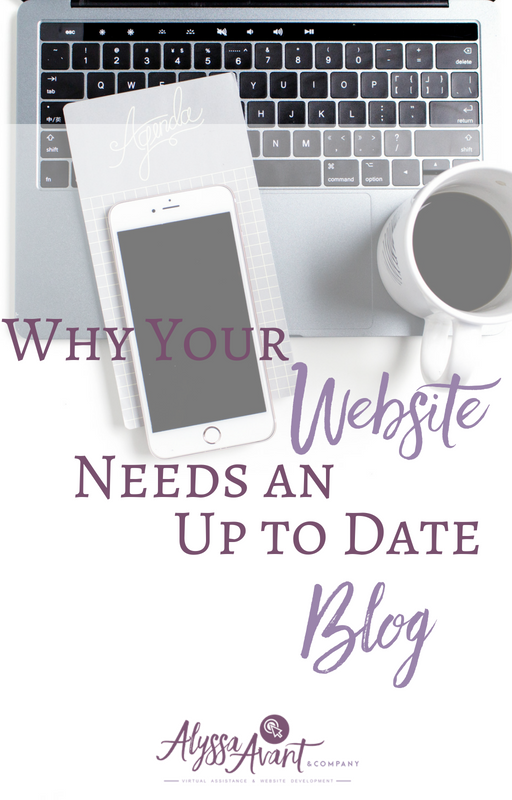 It is now better to use a landing page or to use a content upgrade or leadbox right in the body of your blog post, as you can see in this blog post! This lead magnet should be attached to an email service provider. My favorite one is ActiveCampaign, (this is an affiliate link, which means I will get a small commission if you purchase through it), but you could also use Aweber or Mailchimp. This will allow you to communicate with those who have opted in. 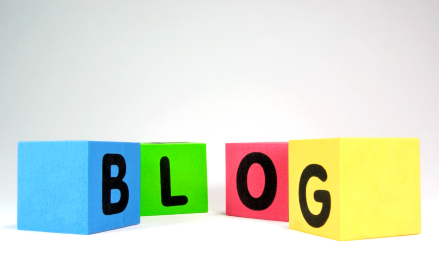 Need to have these pieces integrated into your website but don’t know how? We can help. Click here to schedule a 20 Minute Free Consultation with me.